St. Augustine Beach- Livin’ is easy! St. Augustine Beach, the laid-back, sun-loving, surfer sister to historic St. Augustine, becomes the focus of buyers as the days grow longer, the sun shines brighter, and the shorts and flip flops come out. And why not? Miles of flat, white sand beaches, ice cream shops and locally owned walk-up taco joints, wide sidewalks made for biking or running or dog walking, and open air restaurants serving classic Florida oceanside food with an ice cold beer on the side. St. Augustine Beach is exactly what the doctor ordered for stress-free living on the Florida coast. St. Augustine Beach, incorporated in 1959, encompasses only 2.5 square miles but she’s got a personality as big as they come. Locals refer to life here as living “on the Island” since the city is officially located on Anastasia Island, just south of the downtown core of St. Augustine proper, and island life comes with some pretty neat perks. It’s a highly sought after area in which to live. Oceanfront and oceanside condos are popular purchases as full-time residences, second homes or income-producing vacation rental properties. Pier Point and Anastasia by the Sea condos are right next to the action at the oceanfront Pier Park, where the weekly farmer’s market and Music by the Sea concert series as well as festivals bring residents together. Sea Winds and St. Augustine Ocean and Racquet Club are centrally located along “the Boulevard”, convenient to all of the shops. St. Augustine Beach and Tennis Club sits at the south end of St. Augustine Beach, anchored by a fitness club, pools, beach access and 8 tennis courts. The upscale gated Makarios condos are top-of-the-line for those wishing to own a second home or live full-time at the beach. The gated communities of Anastasia Dunes, Island Hammock, and Whispering Oaks offer large single family homes, many with pools and spacious yards, located on streets shaded by twisted cedar trees and towering live oaks dripping with Spanish moss. Marsh Creek Country Club, the island’s gated golf course community, features homes ranging from approximately 2,000 square feet to large luxury homes of approximately 5,000 square feet with sunset views over the marsh. Bermuda Run and Sea Colony, both gated, are situated along the ocean. Sea Colony is the epitome of luxury where oceanfront mansions in the Key West style can be found along with smaller cottages along the rolling, quiet, shady streets of this newer community. Of course, you’ll find plenty of single family home options in the heart of St. Augustine Beach, tucked away on the “Alphabet Streets” of A – F Streets or along 1st – 16th Streets. You’ll find folks skateboarding, biking, and strolling the quiet friendly neighborhoods- easy living at its casual best! Sea Grove along with its small community center of shops, a library and post office, appeals to those who love to kick back on the front porch after a long day and take in the sunsets. 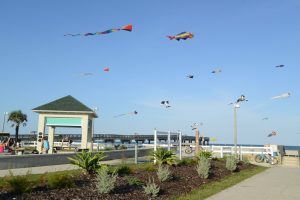 St. Augustine Beach never fails to capture the hearts of visitors, many of whom decide they just can’t live without her and her island charms. 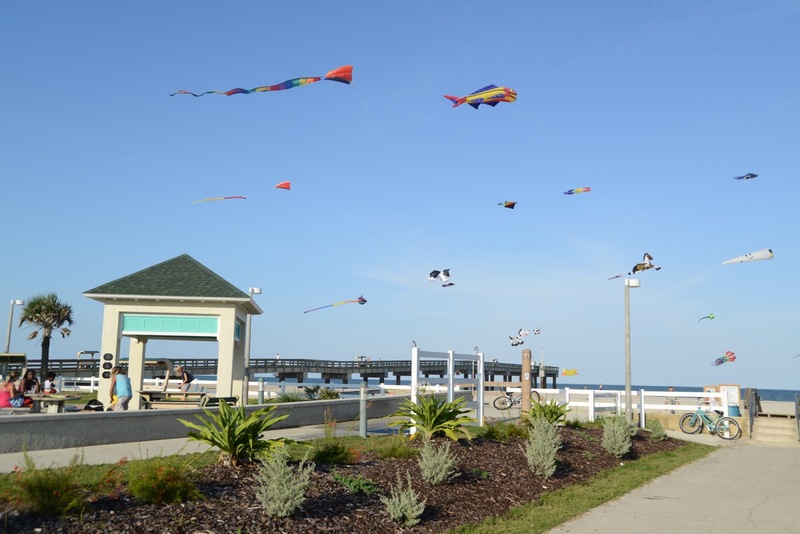 If sun and fun and easy beach living are what you’re looking for, St. Augustine Beach can’t be beat.